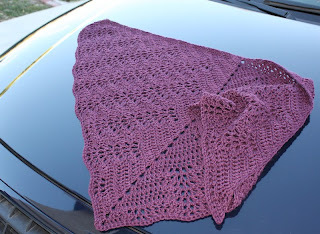 I've had this shawl finished for several days, but had to hold off posting it until it was gifted. Today was the day - and she liked it! 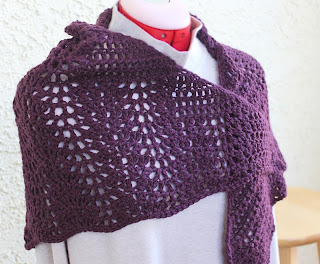 This is the same pattern as the Zauberball shawl (here), done in a solid color rather than wild and crazy. Still love the first one best (isn't that always the way with firstborns?) but this one is nice and soft and cozy. Plus it's purple; always a bonus. 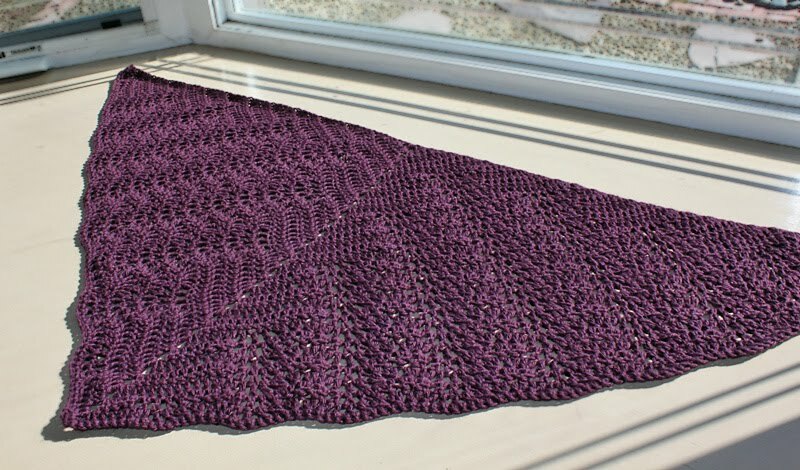 I've already started another crazy color shawl for another friend and I'm thinking about making yet another in Zauberball's hot pink. Can you tell I like this pattern? She didn't just 'like' it she 'loves' it! Thank you SO much! It's beautiful!!!! I love purple and the solid color really shows off the details. 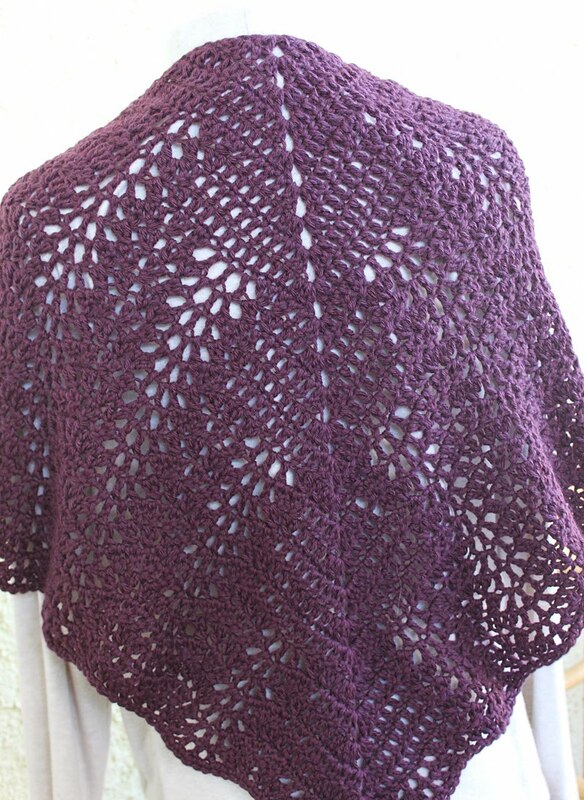 I may have to add this pattern to my ever-growing list! You've got me looking at shawls in a whole new way. Beautiful, my fave color too.